In politics, the Korean Peninsula has been one of most talked about places in recent memory. From tensions between the US and the North to political upheaval in the South, the headlines and column inches dedicated to the region have been long and varied. The label and package printing industry in South Korea is similarly intriguing. Continuing to be dominated by conventional print processes – namely letterpress and gravure – the market is seen as conservative and considered. ‘Korea is a very different market, with lots of intermittent offset and letterpress technology,’ describes Mario Fanton, director, digital printing, Asia-Pacific at Domino. ‘It is a conservative, price-sensitive market,’ confirms Helmuth Munter, segment manager, label and package printing at Durst. Korea is though witnessing growth in shorter runs, flexible packaging and variable data, alongside changes in the nature of the labels being produced, as exampled by Levi Paul Dow III, sales manager for Asia and Africa at Polyonics. 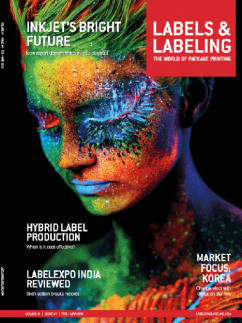 Chong Se Park, publisher and editor of The Printing Industry News, the sole newspaper for the Korean printing industry, tells L&L that the label market is growing at a similar rate to the country’s economy, around three to four percent. 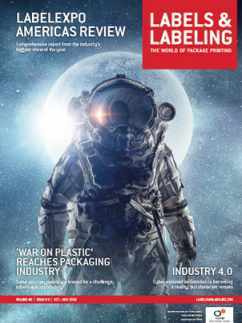 This includes food labels, while labels for pharmaceuticals and logistic applications are seeing above market growth. The cosmetics market is big business too, with Korean cosmetics popular in China and across Southeast Asia. Seoul-based converter Tomatec focuses on industrial roll labels. Its president, Seok Yong Jeon, says that with a lot of what is produced in Korea exported, a trade war between the US and China would be bad for the country’s economy. Components for cars are given as an example, which are exported to produce finished products that are then sold into international markets. Mr Kim, Mr Park, Dow and Fanton spoke at K-Print 2018, where digital printing, notably inkjet, was a standout topic. 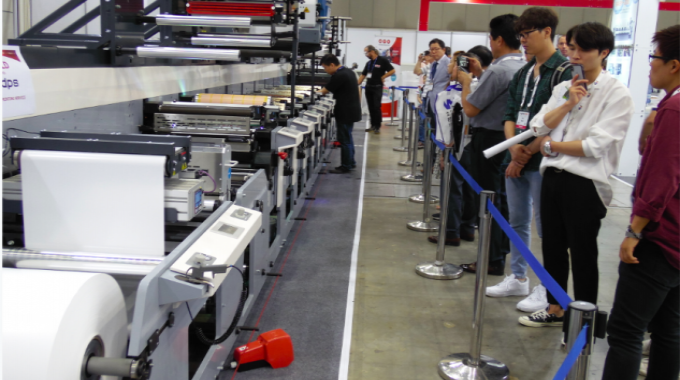 Speaking directly to them and other suppliers exhibiting at the show, it’s evident that digital printing is set to become ever-more prominent in Korea as both the industry and technology develop. From desktop machines from Kiaro! and more complex systems from Valloy (Duoblade F/S), Anytron (any-002/any-Jet) and TrojanLabel, to the Konica Minolta AccurioLabel 190 and other full-blown engines, digital was exhibited in multiple guises. Domino’s stand featured a 7-color N610i UV inkjet digital press, while Dilli was showing a Neo Picasso 350W2, configured with two whites for high opacity on films, then printing with CMYK. With a printing width of 330mm, the press is capable of 25m/min at 1200 DPI or 50m/min at 600 dpi. Double white is available on the entry-level Neo Picasso 230 model. Other inkjet technology on show included the InkTec Jetrix ILP-220 CMYK+W UV LED inkjet label printer. It has a maximum printing width of 220mm and printing speed of 60m/min (30m/min if using white). A Durst Tau 330 RSC was demonstrated on the stand the company shared with DdP Story, its local distributor. A Truepress Jet L350UV+ stood on Screen’s stand. 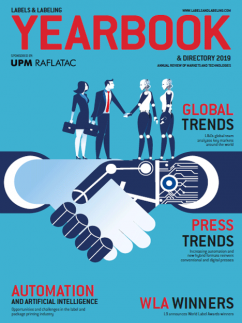 Mr Park of The Printing Industry News notes that the market for digital printing has slowed recently with many companies waiting to see which direction the market and technology takes. Despite this, he identifies Korea as a good market for inkjet and one of the best markets in Asia for Durst. He attributes this to the company’s partnership with DdP Story, which became a Durst distributor in late 2013. Within 12 months the South Korean territory accounted for seven Tau 330 installations. The total is now nearer 20, which includes 330 and 330 RSC models installed directly at DdP Story, along with a Tau 150. Samwoo P&S has installed the first Valloy Bizpress 13R in Korea. The machine is a 13in roll-to-roll single pass digital label printer powered by a Xerox CMYK toner engine. Samwoo P&S prints high quality labels and flexible tubes for the food and cosmetic markets. It chose the Bizpress 13R to produce various short run jobs like promotional wet-tissue labels and stickers. It plans to add a further two Bizpress 13R units to provide additional production capacity. 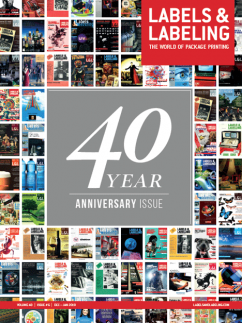 Further printers that have already invested in digital are Xeikon users Taepyungyang Grand (TPYG) and All New Digital (AND) Korea, and Tomatec, which includes an HP Indigo ws4500 among its press portfolio. At TYPG, digital printing sits alongside two Mark Andy flexo presses and three Sanki intermittent rotary letterpress machines within its equipment portfolio. It is a similar story at Tomatec, which has two Mark Andy P5 flexo presses, 5- and 7-color models, in addition to other, older equipment such as an Arsoma press. AND Korea, currently a digital-only printer, sees adding a conventional press as the next step in balancing its production. Offset is likely to be its process of choice. ‘Only having digital can make it difficult to maintain volumes and productivity,’ explains Mr Hong. ‘Even though the label market and digital printing in Korea is expanding, it’s still hard to make good profit. As such, digital is not having it all its own way in Korea. This is evidenced in the supply chain. Dilli, as an example, represents Soma’s flexo printing technology in the country. Pavel Fischer, area sales manager at Soma, was present on the Dilli stand at K-Print 2018 and notes how his company is seeing a move to flexo from gravure, the dominant technology used to print packaging in Korea. Mr Lee at TPYG notes how government action to curtail the installation of new gravure presses is helping drive such changes. David Ho, general manager, Martin Automatic Asia Pacific, sees this as an opportunity for label printers. Flexo is also replacing letterpress and offset in a number of instances. Junha Lee, managing director at converter Formtec, which runs a fleet of Comco presses, sees flexo as rising in prominence due to productivity, higher quality and stability. At K-Print 2018, conventional printing technology was evidenced by Sungsan, which had Wanjie WJLZ-350 and WJPS 350D machines on show; Bangsung and a BSR Plus 300; and M-Tech, with a ManiA-320 intermittent rotary letterpress label printing machine. The Sanki stand was a big draw, as it hosted an SOF-300 offset press and an MPS EF 530 flexo press. The latter featured eight color stations, a new UV LED system and a 520mm printing width. The MPS press was pre-sold to local printer DPS and is the first from the Dutch manufacturer into Korea. The company’s CEO Soon Suk Lee notes that the addition of the first MPS press in the country makes his company a pioneer. ‘We mostly use letterpress technology from Japan, Germany and the US in Korea. I wanted to do something different, so chose a flexo press from a Dutch manufacturer. ‘Many people are thinking about flexo in Korea and we have chosen to invest in a wider machine than is typical.’ The MPS press will be used by DPS for short runs of labels and flexible packaging. Fine Webtech Label Solution System has installed a number of Gallus EM 430 S machines in recent times. The Gallus EM 430/510 S is a modular platform combining flexographic and screen printing units. It can be used to produce self-adhesive and monofoil labels as well as a wide range of other products. Fine Webtech produces products for the household, personal care, cosmetics and industry market segments. Tomatec is looking to upgrade one of its older machines for a newer Gallus model, which will be part of an automation initiative at the converter.